Aaaand here is the Amiga collection. Two of my favorite versions are on this, namely Ghouls and Ghosts and Gauntlet 3. Some of the atmospheres on that last are truly reminiscing of one of his (in my opinion) best work ever: the Equinox soundtrack. While most of early Follin works are basically ports of the same games to different platforms, the trend starts to change a bit with the NES, which had several exclusive titles from Software Creations. Some really rawking tunes. As you maybe noticed within the ZX Spectrum edition itself, Follin goodness gets better as technology evolves. Let’s take it one step further with the Atari ST. Converted from game logs, there too. 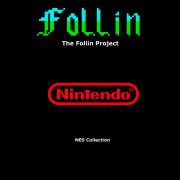 The Follin Project was started on a forum with various members. It aimed at recording MP3s of all VGM related works by Tim and Geoff Follin. Although recordings from original hardware were announced to be preferred, the produced recordings were most of the time from emulated game music logs. The project generated quite a lot of enthusiasm for a while then, as expected, died. However, in the meantime, quite a lot has been made. 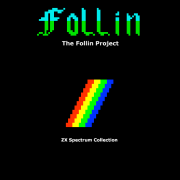 This first volume are recordings from the ZX Spectrum games the Follin brothers composed for. I did those from emulated game logs, and I’ve been told the sound isn’t always very accurate, but heh, I don’t own a ZX.